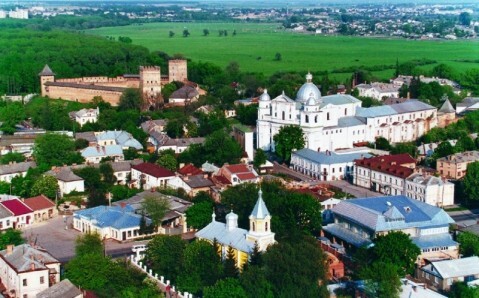 The heart of Volyn is Lutsk, one of the most ancient, mysterious and charming cities in Ukraine. It is well known for its rich history, which determined the city’s appearance. Today, Lutsk manages to harmoniously combine the monumentality of Soviet architecture with the grace of ancient buildings that continue to preserve Kyivan Rus’ and Medieval Europe’s spirit. The richness of its history and architecture is comparable to those of Lviv and Kyiv. History has not preserved the precise year of the city’s appearance, but it was first written about in 1085. An old text recounted the tale of a city whose massive fortress was able to withstand a 6 month-long siege by the Poles. The citadel itself, according to historians, was built in 1000 by Vladimir, the prince of Kyiv. At that time, the city’s name was Luchesk, derived from the word “luka,” meaning “an arc or bend (of a river)”. In the 14th century, Lutsk was a part of the Grand Duchy of Lithuania and became its second most important city. Under Lithuanian rule, the city flourished, mostly due to its favorable location on a trade route from the Baltic Sea to the Byzantine Empire. Having turned into a large trade center, Lutsk became a magnet for domestic and foreign merchants, and, as a result, acquired a very diverse population. 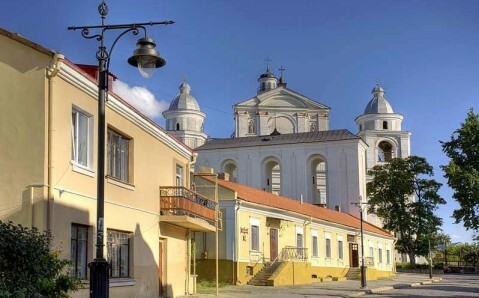 The Polish and German quarters appeared at this time, enriching Lutsk’s architectural beauty. Both Poland, which controlled Lutsk in the 16th and 17th centuries, and the Russian Empire, which took over a century later, contributed to the city’s unique aesthetic. 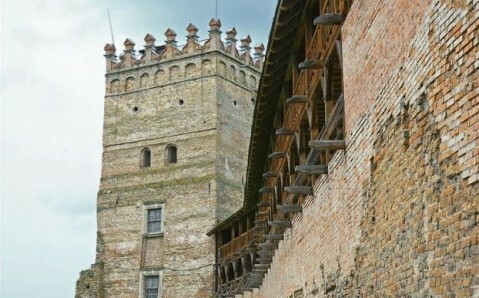 Lutsk’s historic area is a protected national treasure. It houses numerous historic, architectural and religious landmarks. The old and new parts of Lutsk are divided by the beautiful Lesia Ukarainka Street, which leads to the city’s main attraction, the Lubart Castle. 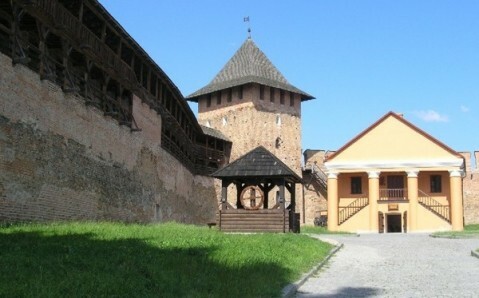 It is one of ten oldest fortifications of not only Ukraine, but of the whole Europe. Moreover, it is one of the very few monuments of times of Lithuanian rule on Ukrainian territory, and it has survived until now almost unchanged. Several museums lie on the castle’s territory: the Armory Museum, the Book Museum, the Art Gallery and, the most unusual, Museum of Bells. In its collection, you can find one of the country’s oldest bells. The gem of the historic city’s architectural ensemble is the splendid St. Peter and Paul Cathedral, built in the 17th century as part of a Jesuit monastic complex. The splendor of its decor and the luxury of its interior, richly decorated with sculptures and impressive frescos, continue to amaze its visitors. 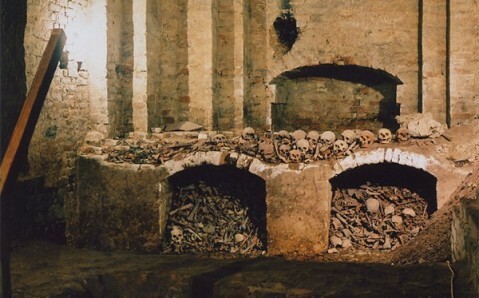 The church’s underground tunnels are also intriguing; they are multilayered and stretch on for kilometers. It is said that during restive times, the tunnels served as a secret passage out of the city. These dungeons are often compared to the netherworld. They are dimly lit and are littered with bones and sculls. You can enter the tunnels only on a tour. 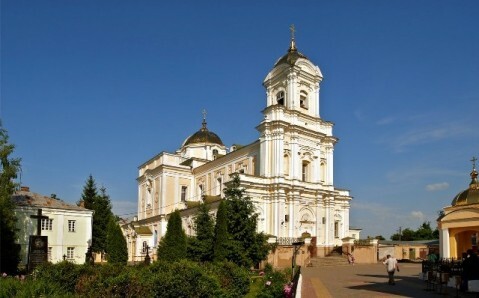 Another of Lutsk’s sacral masterpieces is the Saint Trinity Cathedral. It appeared in the 18th century as a Catholic church in a Bernardine monastery; its features are reminiscent of Rococo. But after the Bernardine order was abolished, and the temple passed to the Orthodox church, and it was rebuilt in the late Baroque style. The representatives of different cultures and religions that used to live in Lutsk, all left their marks in the form of distinctive architectural monuments. This explains why today, in the city’s historical center, besides Christian shrines, you can see a synagogue and a Protestant church, as well as a Karaite kenesa. Lutsk is also famous for its bright festivals, national fairs, and medieval tourneys that take place in the Lubart Castle. Such evens allow the guests to not only admire the centuries-old cathedrals and medieval streets, but to also feel the festive atmosphere of the time.